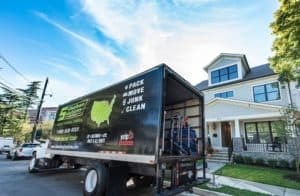 It can be challenging to find a moving company in Bucks County PA that is dedicated, experienced and reliable enough to get the job done quickly and efficiently. However, with a bit of research you may be able to find a moving company that can provide the services you need and within your budget. A reputable moving company should discuss your needs and tailor their services in a way that will work best for you. Many people choose to forego hiring a moving company because they assume it will be expensive and the movers careless. This can certainly happen, but at Suburban Solutions we make every effort to accommodate our clients at affordable prices. Moving is an exhausting process which is why so many turn to a moving company in Bucks County PA for help. A moving company in Bucks County PA may not provide you with an accurate estimate. This can result in serious sticker shock when you receive the final bill. Most moving companies charge by weight. It may be best if the moving company comes to your home and gives you an estimate after looking at your belongings in person. Buying boxes rather than collecting them can be an unnecessary expense when moving. You are highly likely to collect free materials by asking local stores for their leftover boxes. If you know someone who recently moved they might have extra materials left over that they are willing to give you. Social media groups offer another opportunity to find boxes in excellent condition for little to no cost when you post a request for unneeded boxes. Many people simply want to get rid of them so it can be a win-win solution. Inquire about the insurance carried by the moving company in Bucks County PA. You will want to be sure that their insurance coverage is sufficient to replace the value of your items in the event that there is an accident. You will want to be sure that your damaged items are replaced. It is always wise and preferred by many, to move your most expensive or valuable items on your own. Some forgo the services of a moving company in Bucks County PA because they believe that it will be less expensive if they do it themselves. Once you factor in everything surrounding the move such as time, equipment and truck rentals, people often find that they have spent the same or more than they would have with a moving company. When it comes to using a moving company in Bucks County PA, choose a reputable company whose movers are careful, responsible, and reliable. Be sure that you receive a detailed and written quote prior to moving day so that you know what to expect. By hiring the right mover for the job, moving day can go that much more smoothly. Call us at Suburban Solutions for a free and accurate price quote.